Storage Vertical Stratford | About Us | Scott’s Moving & Cartage Inc.
Scott’s Moving & Cartage Inc. is committed to providing our customers with great service at competitive prices. 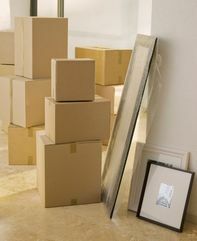 We believe that understanding your needs is the key to a successful move; that’s why we work closely with you to tailor the move to your unique situation. With over 70 years’ experience, North American – a world leader in relocation – has what it takes to make your household or corporate move go smoothly. It’s simple: if it’s important to you, it’s important to us.